This idea was already worth 35 Pips with a risk of less than 10. Furhtermore, everything happened exactly as predicted: I said: If the price comes back to the blue line, where the SL is, it will retest the red line above it. Take a look at the chart 24 hours later. The retest was a possible reentry for the short with the possible target at the lower blue trend line. 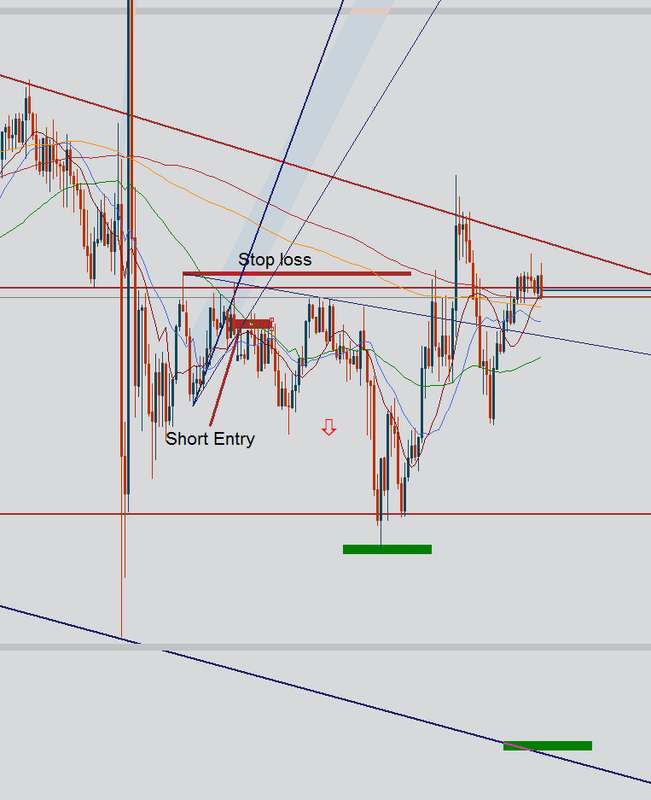 Even if not, I provided a setup with low risk and clear rules, no guessing about how many pips here and there. But as I see, the most people here are not interested in how to create profitable trading setups. I am out. If someone wants to know more, I am always open to help. I have been trading NFP since 7 years , my experience is that you should trade it in direction of news and also check that technical confirm the move , and use tight stoploss. Take the profits and do not add to loosers. In my opinion, it's impossible to earn on NonFarm systematically. When setting pending orders ± 20 points, you will sometimes get a little profit, sometimes you will get losses. In total, you will receive more losses. I conducted research over several years of history. They showed that it's impossible to earn on NonFarm.